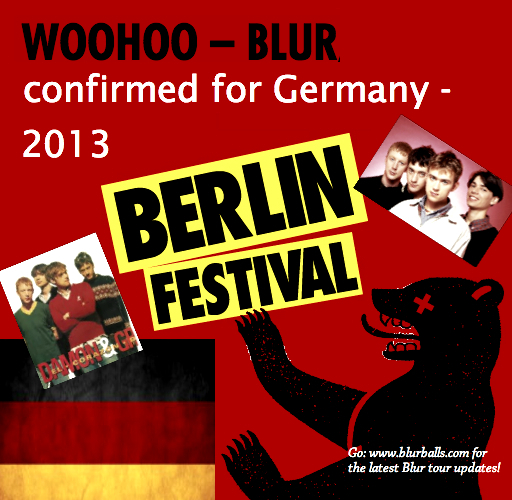 Time to say another 'Woo-Hoo', because Blur has just been confirmed as one of the main headliners in Germany's Berlin Festival 2013 . 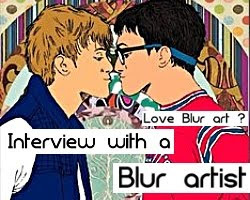 Blur will share the main stage as headliners with Pet Shop Boys for this special Germany gig as part of their European Tour 2013. 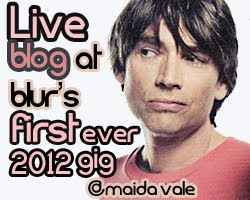 The gig will take place in the 6th and 7th September 2013 for two consecutive days. 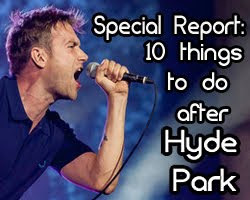 The last time Blur played in Germany was nine years ago. 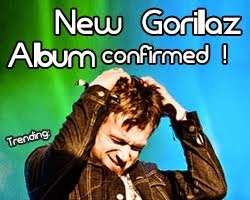 The band has also recently confirmed places at festivals in Mexico, Spain, Russia, France and Norway. 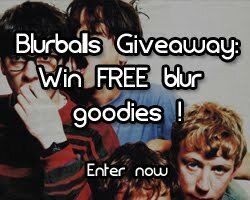 This was amidst speculations for a Blur world tour, along with rumours of a new album or new songs being released in 2013. Blur are also playing at a Teenage Cancer Trust gig in UK later this year. 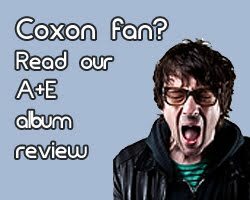 Watch the promotional video for a taste of what the festival is like - with Blur in it, it will definitely be a show worth going to for those who can make it to Germany. Tickets will go up for sale on 14th December at 9am at Eventim. From 21st December on, tickets will also be available from Berlin Festival's official website- visit http://www.berlinfestival.de/ for more information about the Berlin Festival 2013 lineup, news and ticketing information.